Fun with Java: Unicorn power! Something amazing, even magical, happened to ESPN.com — unicorns. 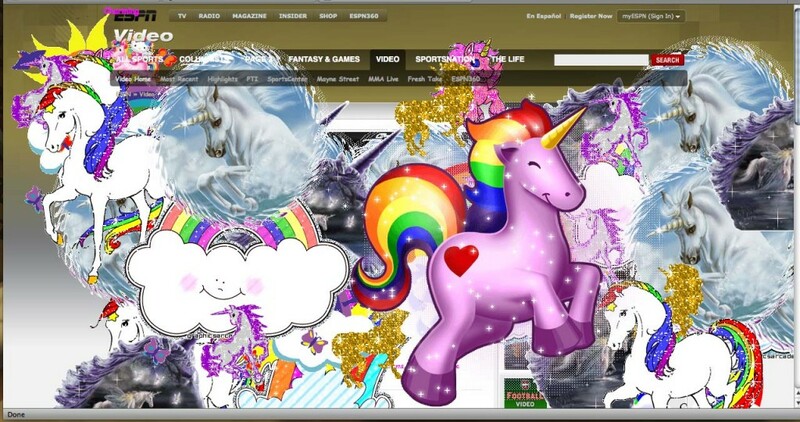 It seems that the code has been purged now from the site, but when you entered the infamous Konami cheat code (up, up, down, down, left, right, left, right, B, A, enter) on any ESPN.com page a plethora of sparkly unicorns and rainbows would appear. now watch the images dance around the screen. I tried this after your tweet and i was sad it didn’t work anymore. Any sites you know of still offering it live?